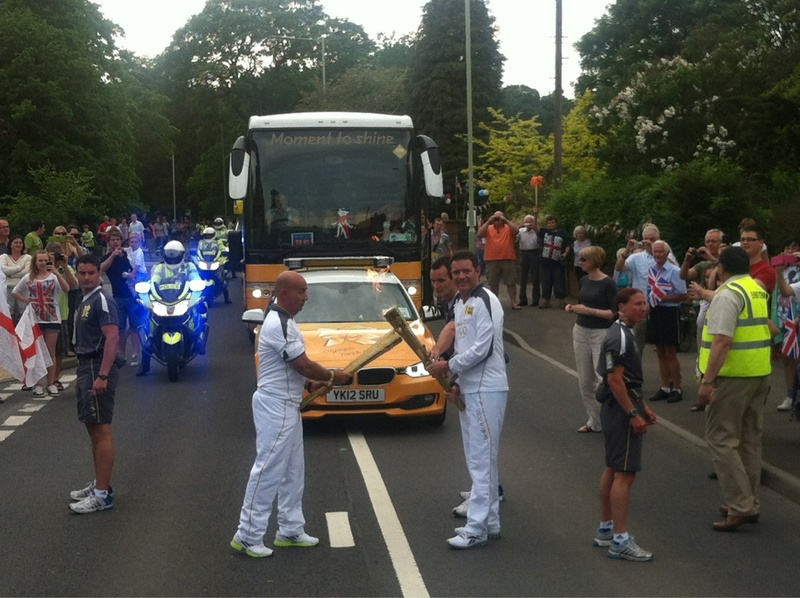 The moment that the flame was passed between the two men was captured and published on Twitter by BBC Stoke. Angelides was also snapped earlier by Instagram user Trovster. Thanks to This Is Staffordshire’s David Elks for pointing us to both images from the site’s liveblog. And on Friday adidas torchbearer Clare Ennis – who shared the same nomination story as Foley and Angelides – was photographed carrying the torch through Knotty Ash by PH Chan. 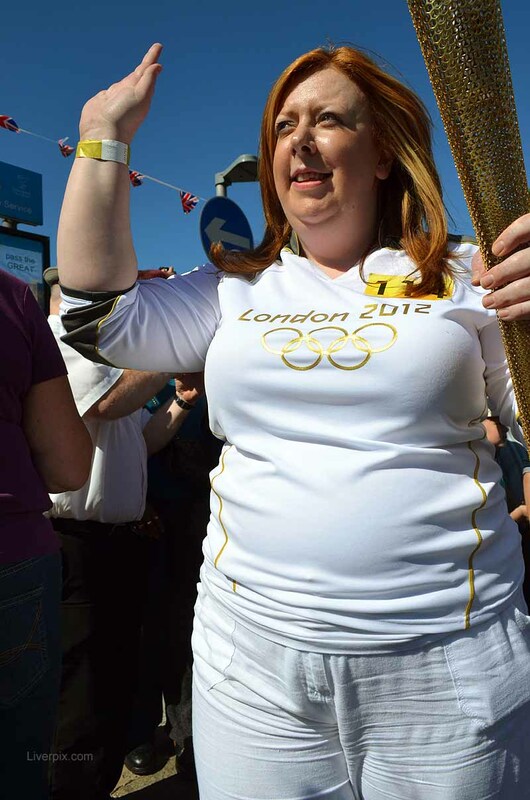 Clare Ennis carries the torch through Knotty Ash for adidas - photo PH Chan. “I did research on her on the Olympic Torch site and was surprised that she mentioned adidas and also that she was not a local person. She also did not have any involvement with a charity like many of the other torch bearers. She did come across as quite friendly and got on well with the crowd and had her photo taken with Ken Dodd. This entry was posted in investigation and tagged adidas, Christos Angelides, Clare Ennis, David Elks, Knotty Ash, PH Chan, Stafford, This Is Staffordshire, Tom Foley by Paul Bradshaw. Bookmark the permalink. This is very interesting and clearly worth investigating. However, I don’t see how PH Chan can draw conclusions about Clare Ennis’s “involvement in sport” based on the photographs. My concern is that a judgement has been made based on her figure which is, quite frankly, irrelevant to her “involvement in sport”. I’m still none the wiser who Clare Ennis is and all 3 of the above torch bearers do not inspire the youth of today to take up sport in my opinion.